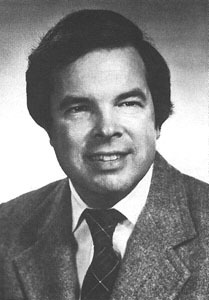 American physicist Kenneth G. Wilson applied renormalization group analysis to assorted problems of theoretical physics, especially concerning critical points and phase transitions. In papers published beginning in 1971, he addressed and helped resolve some of the biggest previously unsolved problems in theoretical physics. He was a key proponent for the idea — controversial at the time — that the US federal government should provide financial support for the purchase and installation of supercomputers on major college campuses, and he was among the first scientists to use computer simulations and modeling. For his work on critical phase transition phenomena, he won the 1982 Nobel Prize for Physics. His father, Edgar Bright Wilson Jr., was a chemist at Harvard and an early leader in the developing theoretical and experimental study of the structure of molecules. The younger Wilson won a varsity letter at Harvard for his athletics with the track team, and said that he came to Cornell because he had heard that the university had a good folk dancing group.